The Motor City Shiners was formed in 2015 as a Club chartered under Moslem Shrine. With over 100 members, the Shiners is Moslem Shrines NEWEST and FASTEST growing Club with an additional 25 Taprooms at various Shrine Centers from coast to coast and in Canada. The Motor City Shiners membership is made up of Shriners and is designed to assist them in their hobby of home brewing beer / wine making / distilling / and other related activities and to increase the awareness of the quality and variety of homemade beverages (either non-alcoholic or alcoholic) such as, but not limited to: Beer, Wine, Liquor, Cider, or Mead. While the majority of our members are non-brewers, we still get together and have "outings" every other month at various breweries and wineries throughout the South Michigan / Metro Detroit area to tour their establishments, learn of their methodology of making their products, and to sample their goods. If you are a member of a Masonic Lodge and would like to join us at one of our outings, please contact us and we would be happy to extend you an invitation. 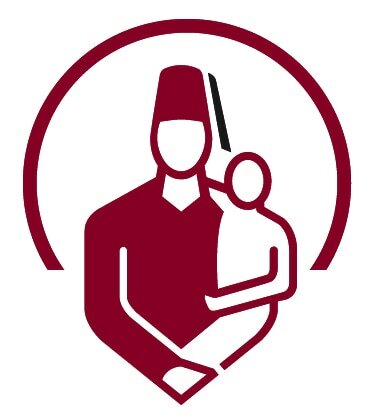 Chartered in 1880, Moslem Shrine is one of the oldest of the almost 200 Shrine Centers found throughout the world that are governed under Shriners International. While the philanthropy adopted by the Shriners is to provide the highest quality health care to children under the age of 18 regardless of their ability to pay - which all Shriners take that responsibility very seriously - we have always maintained that we can have a lot of fun while doing it. But, it is fun with a purpose - supporting the important mission of the Shriners Hospitals for Children. Full Membership in the Motor City Shiners is available to any member of Moslem Temple that is in good standing. Associate Membership is available to any Shriner that is outside the jurisdiction of Moslem and is in good standing with their Temple. This is the official website for the Motor City Shiners - Taproom No. 1. The information on this website is provided as a public service only and should not be used for commercial purposes. Unless otherwise explicitly stated, the material on the website is provided "as is" and without warranty of any kind. All expressed or implied conditions, representations, and warranties, including any implied warranty of merchantability, fitness for a particular purpose, or non-infringement, are disclaimed. While it is our goal to keep this website accurate and current, no representations, warranties, guarantees as to the quality, suitability, accuracy or completeness of any of the materials contained on this website are made.